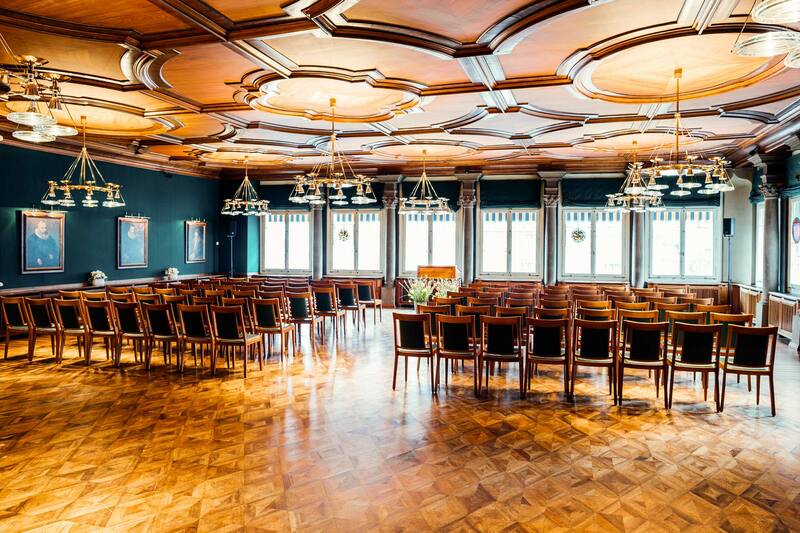 Located on the 1st floor, this spacious room with its large windows offers views across the river Limmat to the Zurich town hall and the Limmatquai promenade. 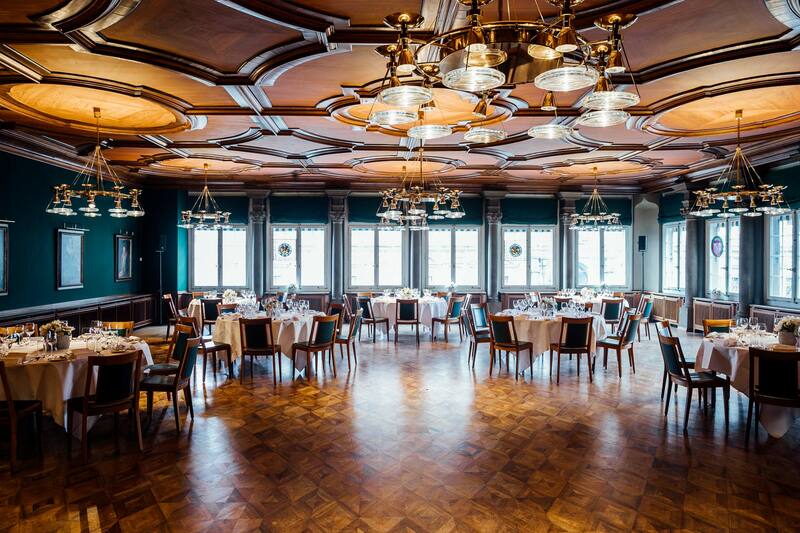 Based on the Regency style, an early period of the Rococo style, the room is dominated by its walnut ceiling which is elegantly accentuated by chandeliers designed by the award-winning architect Tilla Theus. 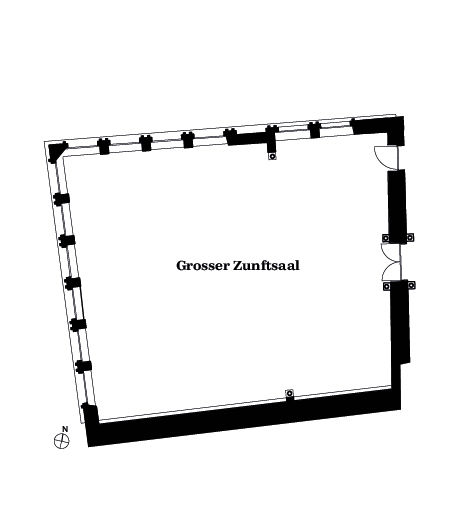 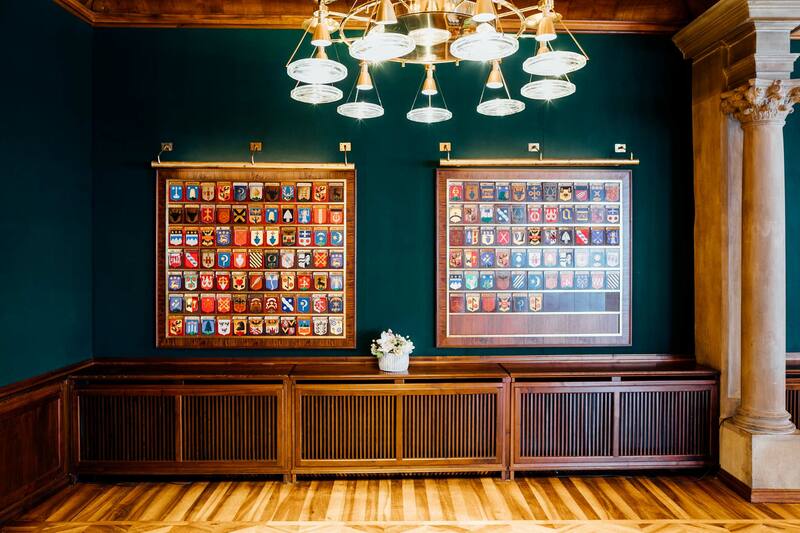 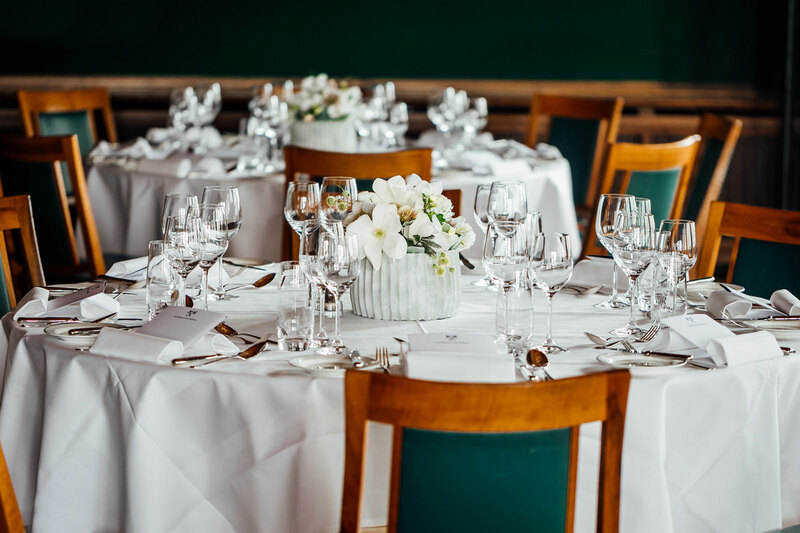 The Grosser Zunftsaal is the perfect venue to give every occasion its own distinctive character.